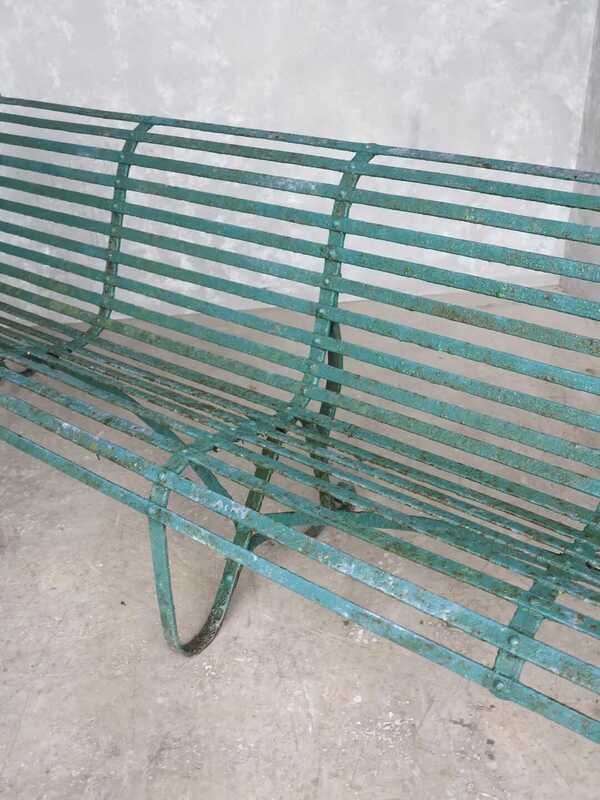 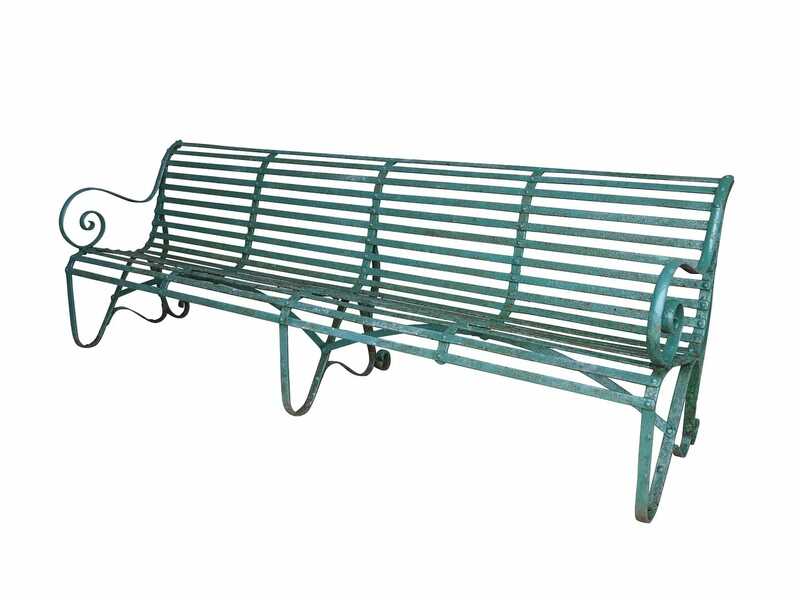 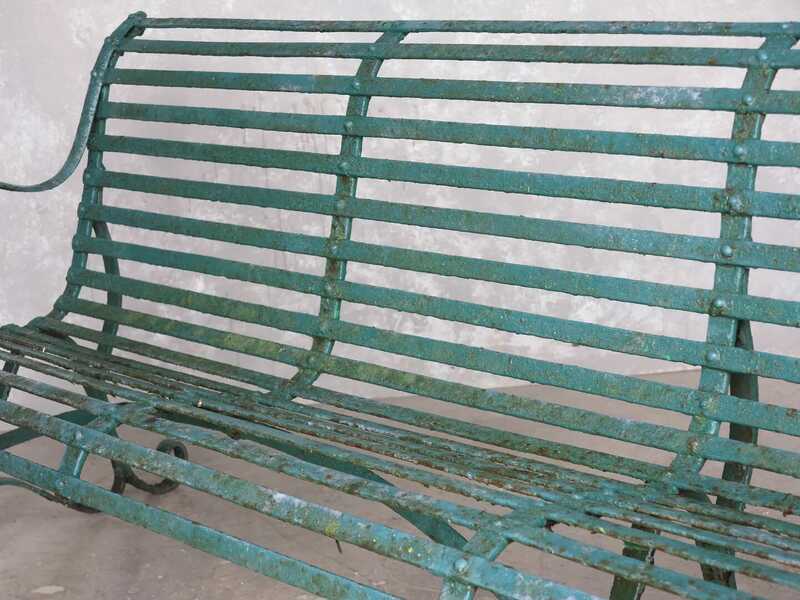 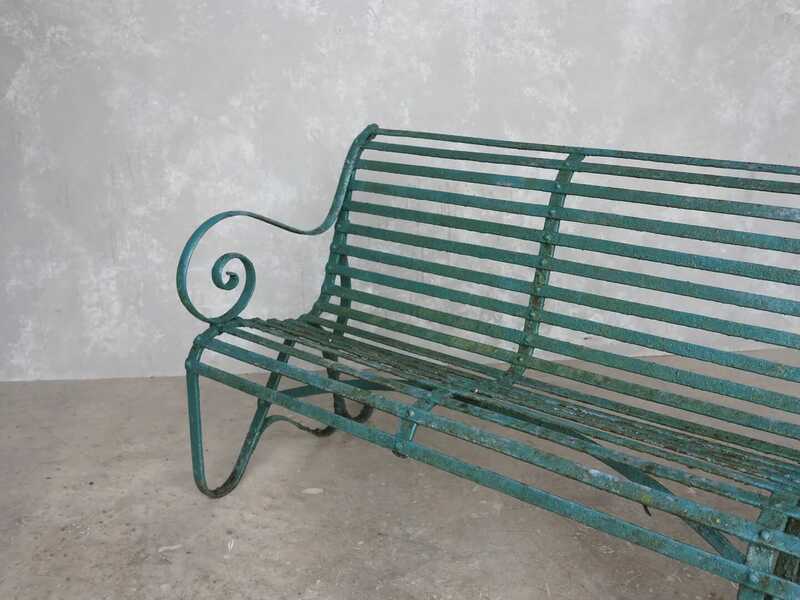 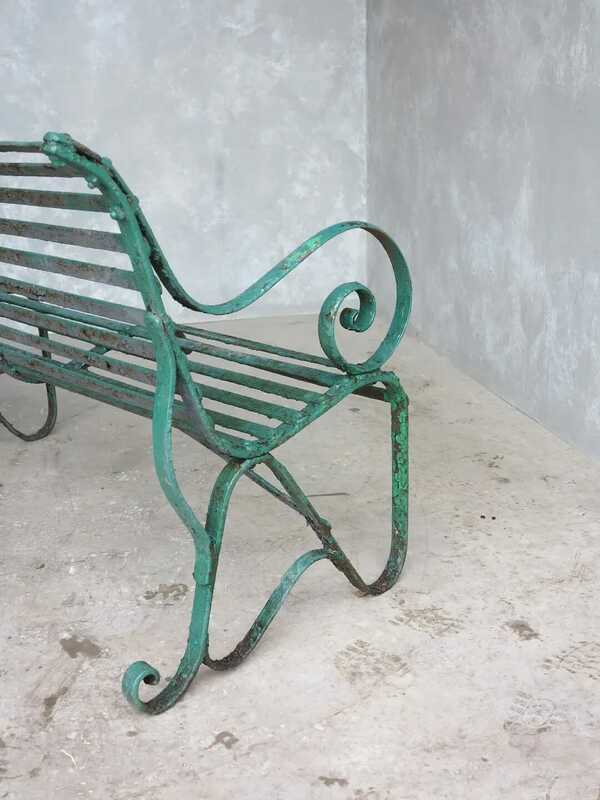 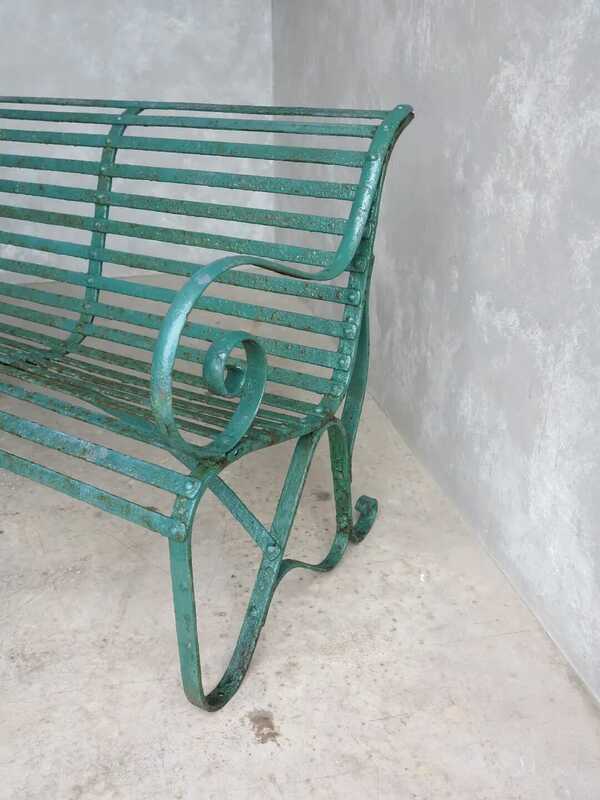 Fantastic 4 seater solid iron strapwork garden bench. 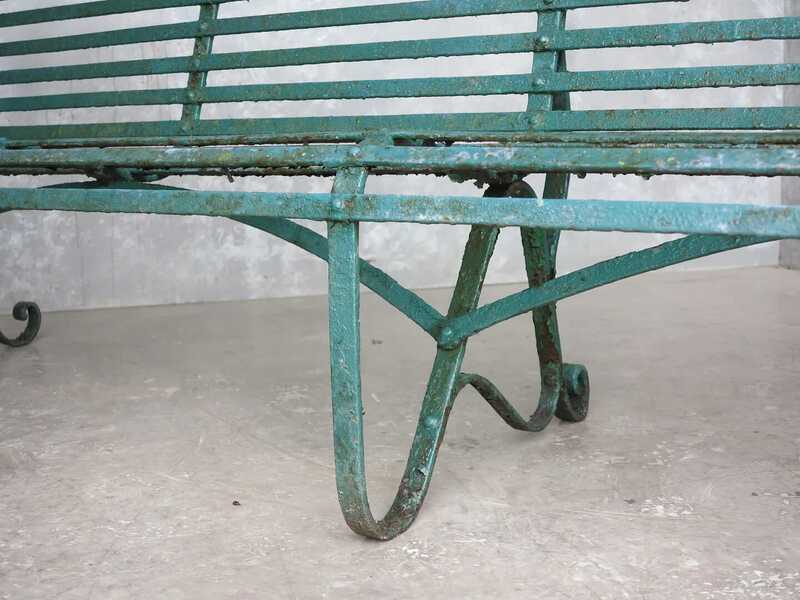 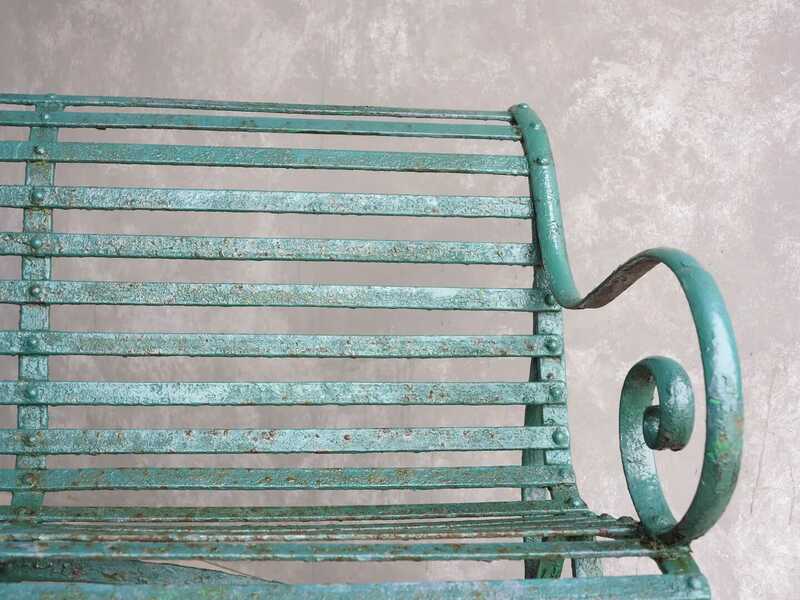 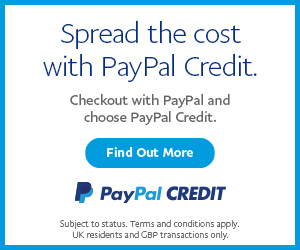 This item has a fantastic patina which only comes with age. 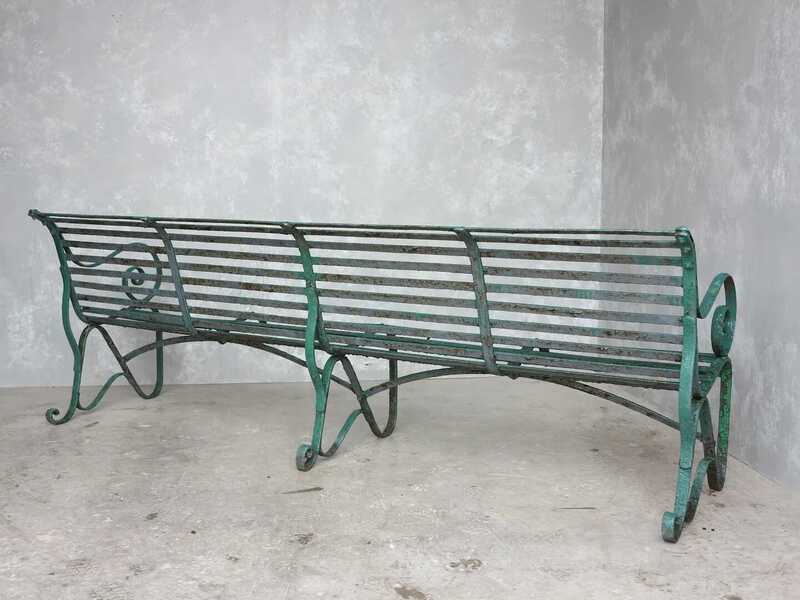 The bench measures: 96" Long x 33" Tall x 18" Seat Height.